Y’all, it is that time of year again! 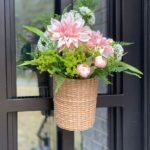 The Spring One Room Challenge starts this week and I am beyond excited. This is like the Super Bowl for interior design enthusiasts and home bloggers like me! You may be asking what the heck I am talking about? If you have never ventured into the deep recesses of the design blogger internet, here’s the deal. 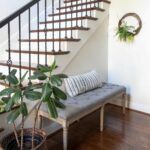 Our lovely and gracious host, Linda, from Calling it Home challenges bloggers far and wide to completely makeover a room in 6 short weeks! It has become insanely popular, even garnering the support of major media sponsors like House Beautiful! 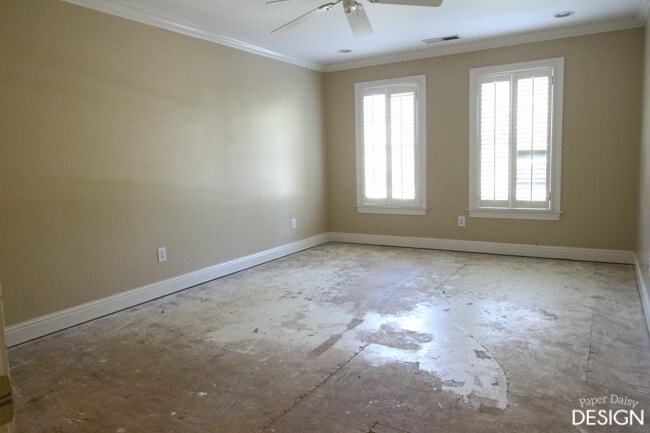 It seems like a fairly easy task to makeover a room, in 6 weeks right? Well, if you are making over a master bathroom like I did the last two entries, then let me tell you…it ain’t that easy! And the previous master bathroom. But this time I feel like I will actually be able to enjoy the whole process. It is an exciting 6 weeks to watch these makeovers unfold! This time there’s no tile to lay, shower to build and waterproof, or wall molding to hang. I think the hardest task ahead of me will be building a desk. I will also be hanging wallpaper, but it’s actually a repositionable paper so it should be super easy. The rest will just be styling the room and decorating! Want to know the absolute best part? It’s a room all for me! I am making over my office/studio space. And because it is completely separate from the rest of the house I feel like I can push the boundaries of my usual traditional-mix style. I am seriously psyched to have the opportunity to broaden my design aesthetic and embrace other styles I am inspired by. For this room, I am giving myself the freedom to dream big and venture out into a new territory. I started by asking a few questions. A design interview with myself if you will. Humor me. My favorite calendar and planner from Rifle Paper Co.
Emerald Green, black and pink! How do you feel about bold pattern and texture? Yes! I love the bohemian, layered, graphic look. Definitely, yes! With all the plants I can find in Birmingham and fit into the room! Make it almost like a jungle in there! After a stressful start, I finally feel like I'm ready to dive into the #NewYear today. So thankful to our God for making all things new and opening doors when situations seem impossible. And these @riflepaperco supplies sure make me smile. I'm thinking these colors are the perfect inspiration for an office makeover this spring! 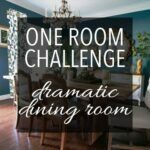 Look out #oneroomchallenge ! Okay, so that’s the “dream big” scenario. And also in that dream, my studio would be a grand loft space with high windows and brick walls. But, let’s take a look at what I’ve actually got to work with. Before we moved into our Trail House Reno, the room looked like this. We ripped out some truly disgusting carpet and had engineered hardwood installed. 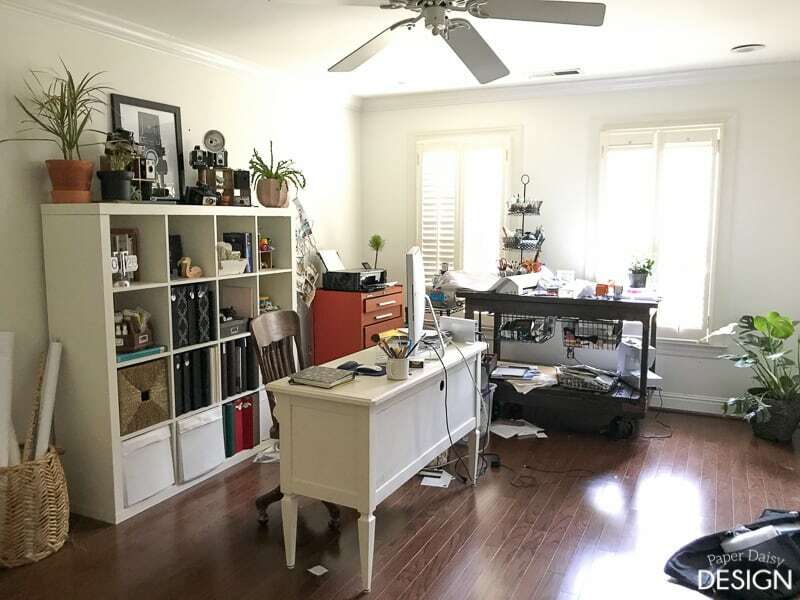 Since then, the room has pretty much stayed exactly what it looked like after we moved and honestly I only partially unpacked. All my craft supplies are literally shoved in the closet. The room is full of doors. The door in the photo above goes to the attic. There are 2 more doors. One goes into a shared bathroom and the other is the entry. So essentially I lose one wall to these doors. The room is long and kind of narrow, but not really a small room. As far as furniture, the oversized vintage industrial cart I use as a craft table need to stay. I love the industrial vibe and proud that I designed it myself out of 2×4’s. Tutorial can be found here. The IKEA bookcase will just be restyled and I think the orange, roadside rescue tool cabinet will get to stay, probably with a little makeover. The other side of the room has been completely wasted, just a pile of photography supplies and random stuff. Here are a few images I’ve been hoarding on Pinterest that became the springboard for my inspiration. This image has long been one of my favorites. 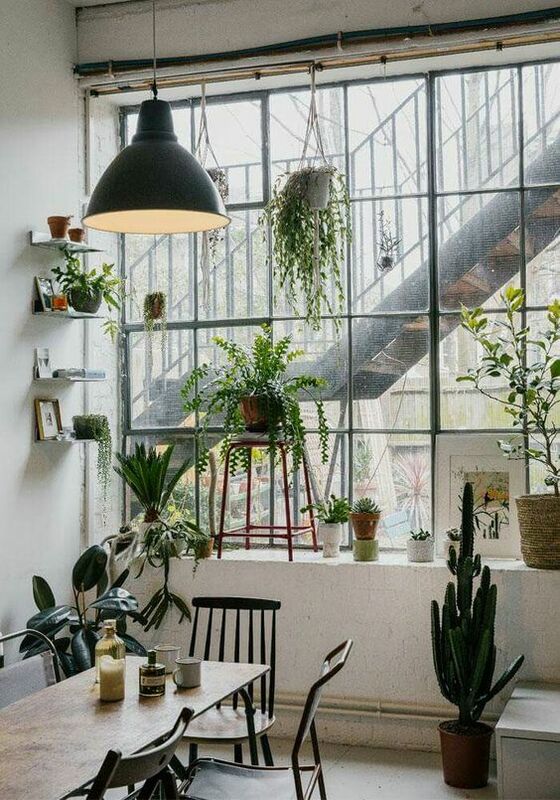 These windows and those plants! And for my computer desk, I find this photo completely breathtaking. Sadly, I won’t have the luxury of so much open space because I hope to squeeze in a little area for lounging and occasional guests. The plant lady in me can’t help but share another image with plants. Even though I am calling the room a jungle, I don’t see animal prints and such, just loads of plants. Botanical probably would have been a better description. But I do want to have that feeling of a jungle oaisis if that makes sense. I have been itching to give this room a makeover for quite some time and I am downright giddy it’s finally time to get started. Right now, I find this space completely uninspiring. I know without a doubt it is affecting my productivity and my desire to be creative. 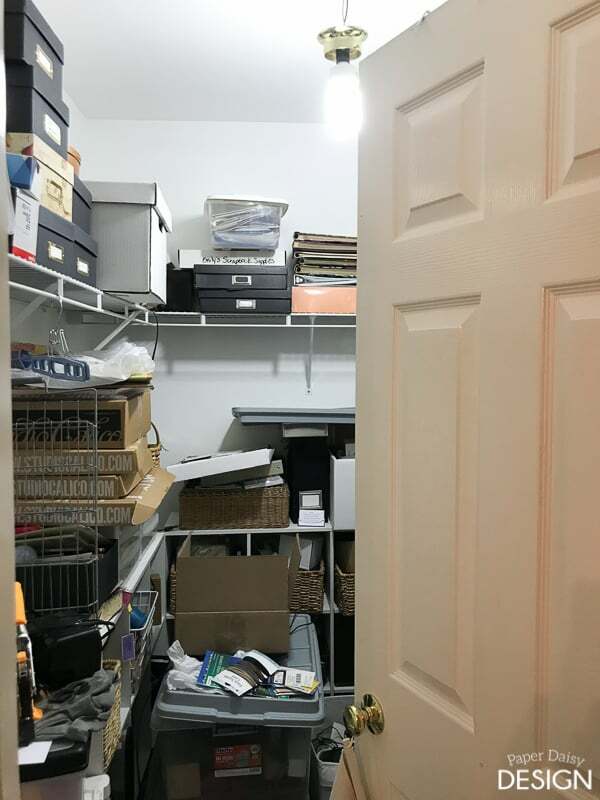 As a possible bonus, I would love to tackle or hire someone to organize this closet. Gosh. You can’t even walk in there and that hanging light fixture is nice. 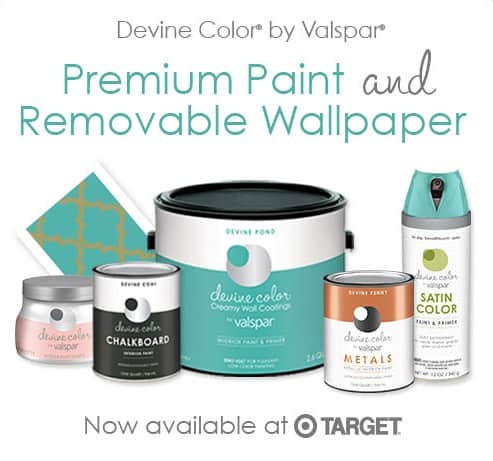 I am elated to be working Devine Color by Valspar and Target to bring this makeover to life! What I love about this collaboration is that much of what I will use to style the room will be available online or at you local Target! 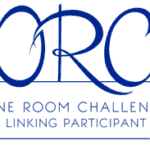 Be sure to check out all the featured Designer participants here and other linking participants here! If you want to see my past entries an archive of my past challenge spaces, can be found here. I’ll be back next week with a complete design plan and list of all the projects. Hopefully, I will have made some serious progress! I am excited about your project! I am a huge Rifle Paper Co fan too! Stacy, Isn’t Rifle Paper just the best? I am pretty darn excited too! oooh i am all over this plan! YES! Thank you, Cassie! I am so ready to have a place that I love! 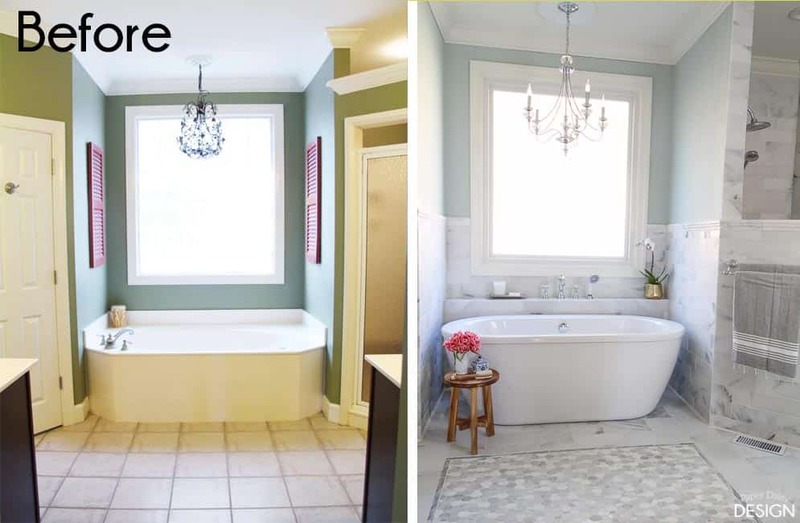 Holy crap, that bathroom transformation is SOLID. 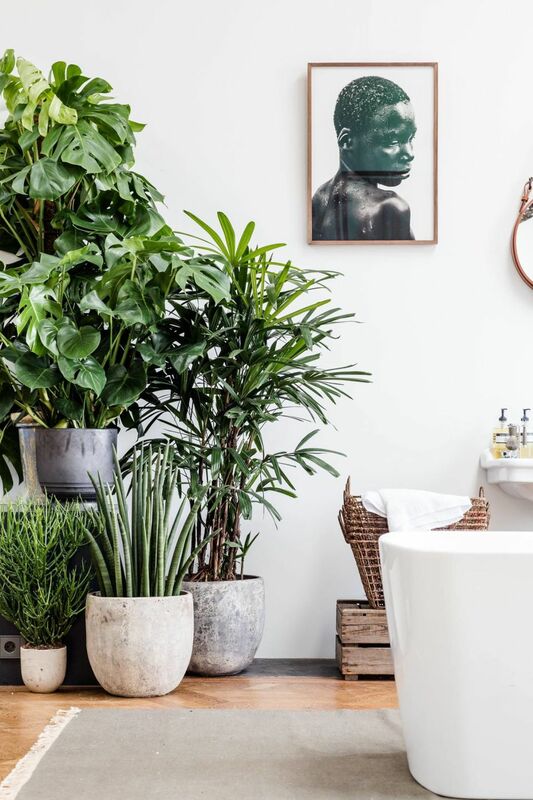 I love your plans for your studio…I’m all about filling rooms with plants! That’s a great space to work with, too! 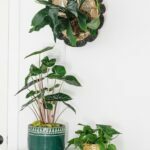 Brittany, Happy to have a fellow plant lover following along! OH WOWZERS! First the room is pretty awesome already and that cart!!!!!!!!!!!! And then your plans to upgrade are WOW! I am excited to see what you do. Thanks! I do love my cart and that’s why I can’t part with it. And I can’t take it out of the room unless I take it apart. Ha! Thanks for following along! 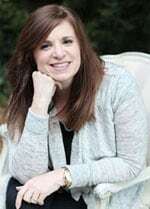 I love your inspiration pictures! 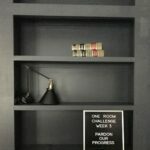 I can’t wait to see how this room turns out! Thanks, I am excited to get going on this room and I can’t wait to see how it turns out too! That’s going to be so fun to design and see come to life! 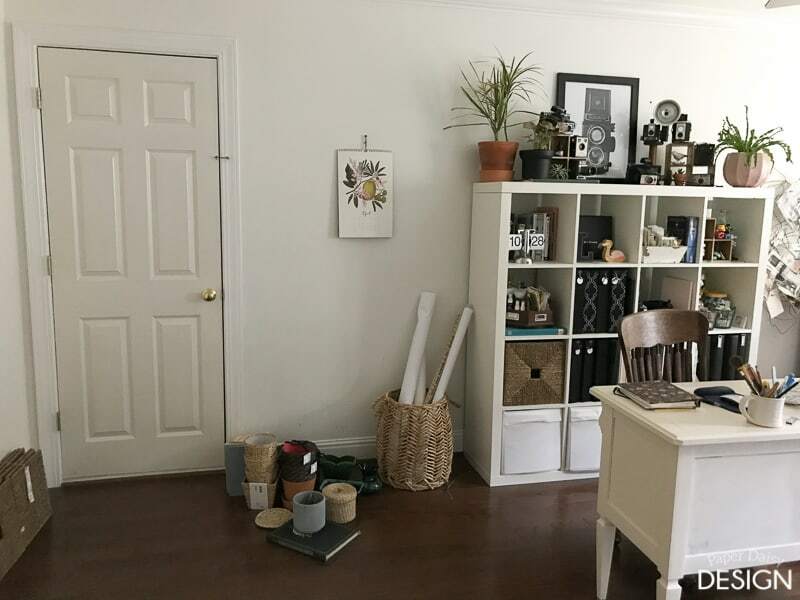 Totally know what you mean about having freedom to go crazy since it’s not attached to the house – my craft room is all mine and all my style with little regard to the house style. I’m picturing a fun, greenhouse feel with lots of light. Can’t wait to see how it turns out! That is exactly what I hope for! Thanks for commenting and following along! 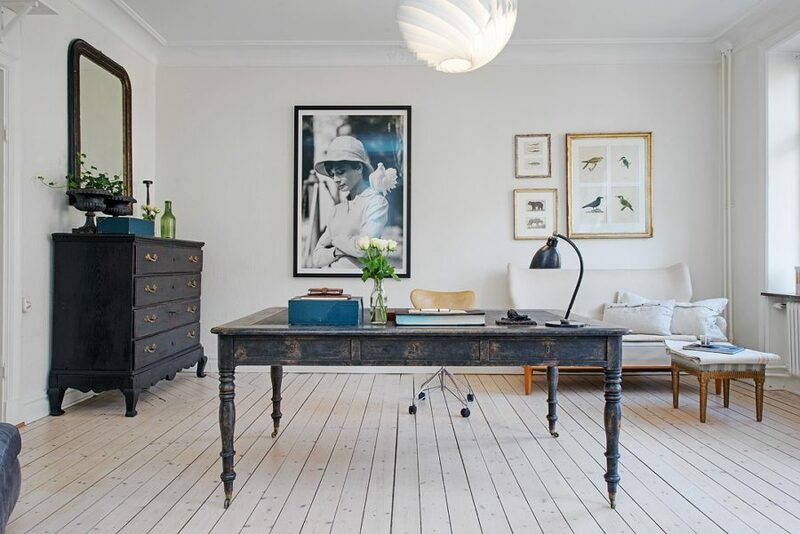 Oh my goodness, I am so intrigued by your room and your design plan! 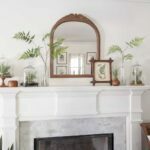 It’s going to be a challenging space but I’m sure it will be absolutely stunning when you’re done (especially if that incredible bathroom makeover is any indication!) Can’t wait to follow along! Meredith, My plan seems a bit all over the place so I am amused that you found it intriguing! 😉 Thanks for following along. The space you have to work with is fantastic!! 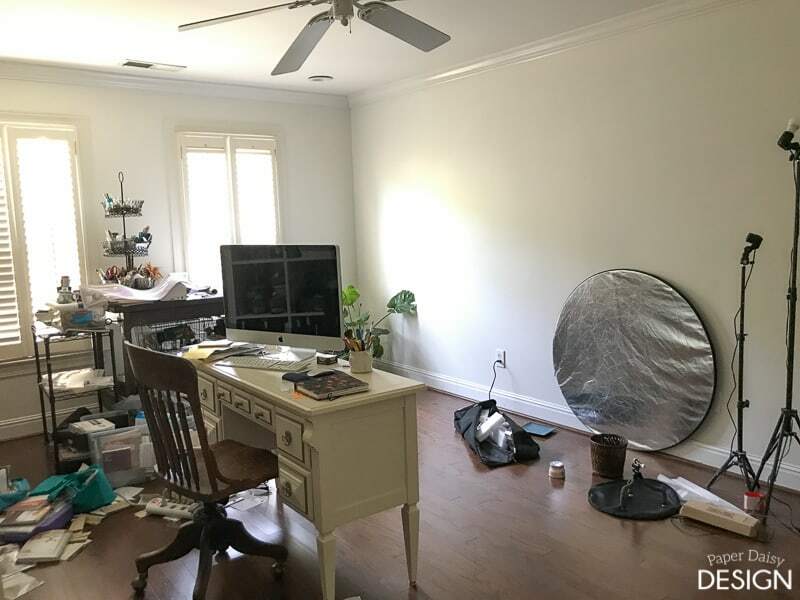 I would LOVE a studio that was all mine and can’t wait to see what you do in here! Also – your bathrooms??? 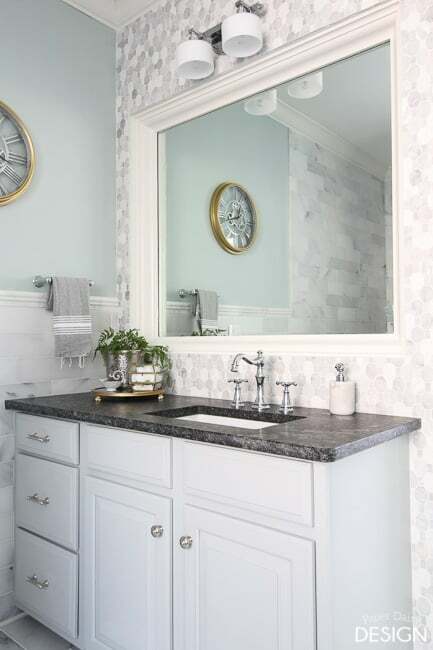 Amazing and making me feel like I need to step it up a bit with my bathroom reno!! Thanks, Lisa. I am hoping it will be fantastic and inspire me to be more create more. OMG I’m so excited to watch your makeover! Those inspo photos are ah-mazing and I am diggin’ your boho direction! Good luck! I’m so looking forward to seeing this space come to life. 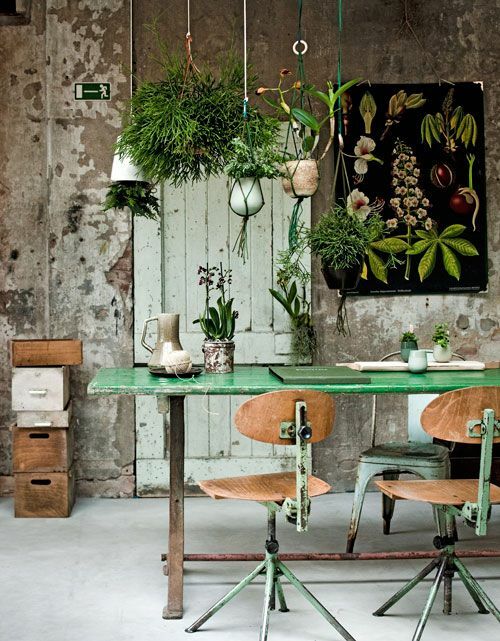 I’m really digging the Bohemian vibe with all the plants, and holy wow; Do I ever love your collection of old cameras. So fun! You’re on top of the game. Thanks for shianrg.